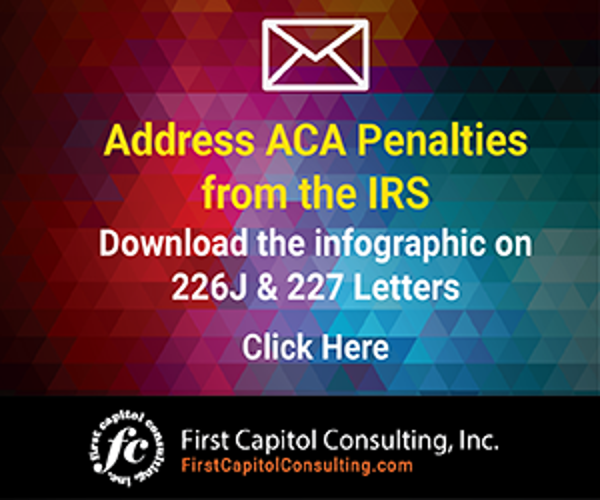 The IRS has posted information on its website regarding Letter 226J, the initial letter issued to Applicable Large Employers (ALEs) – those organizations with 50 or more full-time or full-time equivalent employees – to notify them of a proposed Employer Shared Responsibility Payment (ESRP) for failing to comply with the Affordable Care Act (ACA) in 2015. The information describes what you should do if your organization receives Letter 226J, and provides some answers to “common questions” that an ALE may have. You can find the information by clicking here. A new infographic is now available that outlines the process of responding to Letter 226J, which can serve as a guide as you set up your internal process to develop a response. The infographic describes the procedure undertaken by the IRS to determine whether an organization has not complied with the ACA , how penalties are calculated, and how you can potentially eliminate or reduce ERSP payment that the IRS proposes to be assessed against you. You can obtain the new infographic by clicking here. If your organization has already received Letter 226J, you are likely working on your response. If you have not received a Letter 226J, that doesn’t mean you will not receive one. More letters are going to be sent in the weeks ahead. With typically only 30 days to respond, now is the time to get prepared by reviewing the information reported on Forms 1094-C and 1095-C for 2015 to confirm that the information filed with the IRS was accurate. This information is being used by the IRS to compute the ESRP. Consider working with a knowledgeable third-party who has expertise in undertaking ACA filings to the IRS and has developed best practices for data gathering and consolidation from HR databases like payroll, benefits administration, and time and attendance. This type of expert will be able to help identify data errors or inconsistencies that could have led to you receiving Letter 226J. The expert also will be able to help you prepare your defence in response to the letter. With penalties in the millions of dollars being assessed by the IRS against some organizations receiving Letter 226J, investing time now in reviewing your past data for 2015, as well as 2016, with an outside expert may be a worthwhile investment. 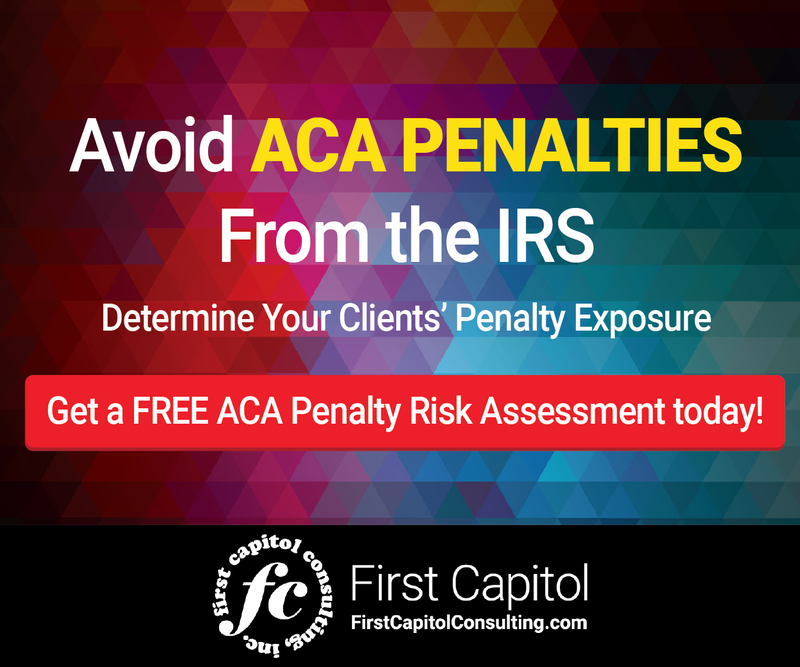 This may help you identify ways to reduce or eliminate any potential IRS penalties. The IRS has provided a Notice on how to respond to Letter 226J. An infographic, courtesy of the The ACA Times, may also be helpful.